Nothing says comfort food like a warm meatball bathed in marinara sauce. It’s no surprise that there is a day dedicated to this delicious dinner option. 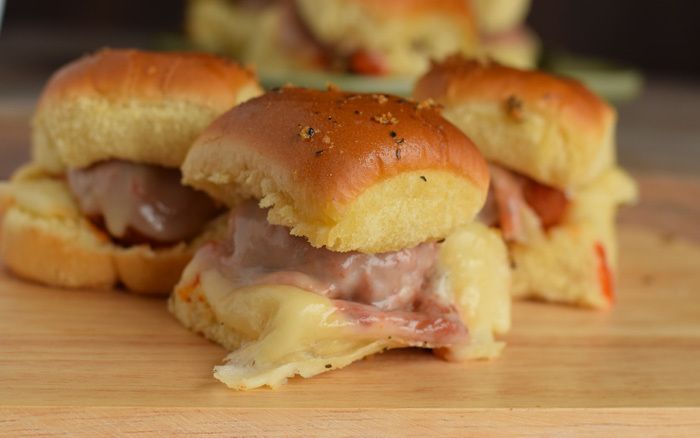 Get prepped for National Meatball Day with this recipe for Easy Meatball Sliders. 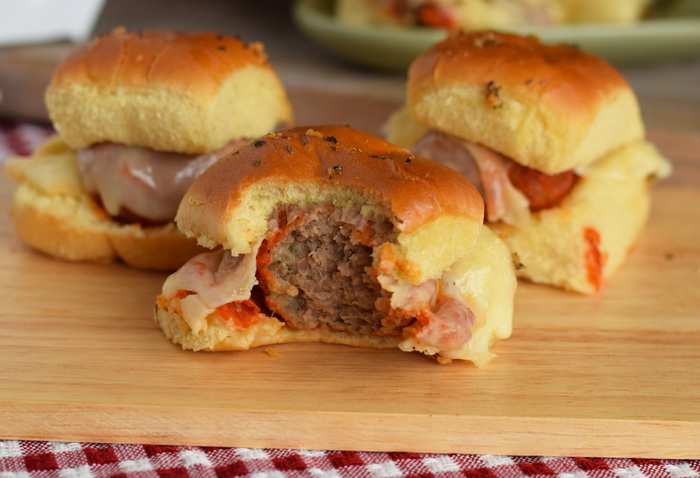 Smaller than a meatball sub but with just as much flavor, meatball sliders are the perfect go-to dinner choice for busy families. Have a casual family dinner at home without sacrificing taste with Italian flavors that the entire family will enjoy. National Meatball Day is on Thursday, March 9, 2017. As we all know, Thursdays are school and work nights. I always have limited time to get dinner on the table on nights such as this, but these easy meatball sliders take less than 30 minutes to make. On nights like these, I grab convenient dinner products to maximize my time. Cooked Perfect Meatballs have always been a family favorite. 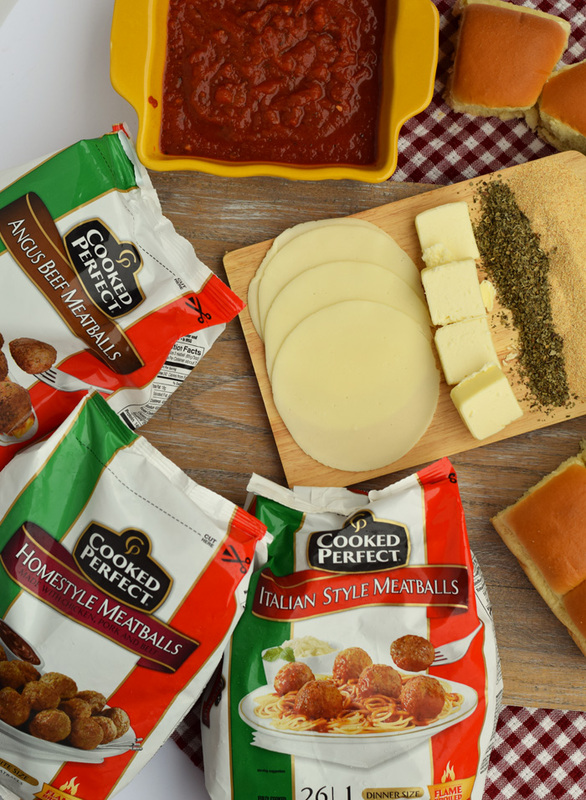 They are made with select meats, real cheeses, and savory herbs and spices. Cooked Perfect Meatballs are then flame-broiled to make sure that each meatball is delicious. Cooked Perfect Meatballs offer a wide variety of flavors, including Italian Style, Homestyle, Angus Beef, Turkey, Chicken, Sweet Italian, and Swedish. 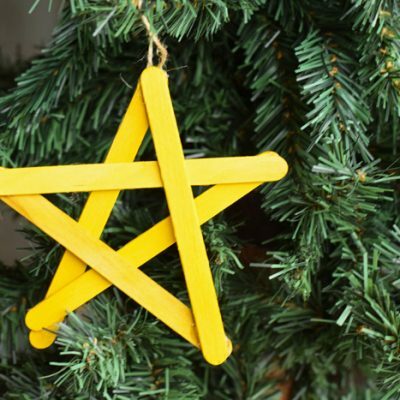 The Italian Style is also available in a gluten-free variety. Now, who is ready for this delicious recipe? You may have to create a few “trial runs” of this recipe before National Meatball Day, if you know what I mean (wink, wink). Begin by following the directions on the back of the Cooked Perfect Meatballs package to heat one half of the Italian Style meatballs in a large pot with the marinara. 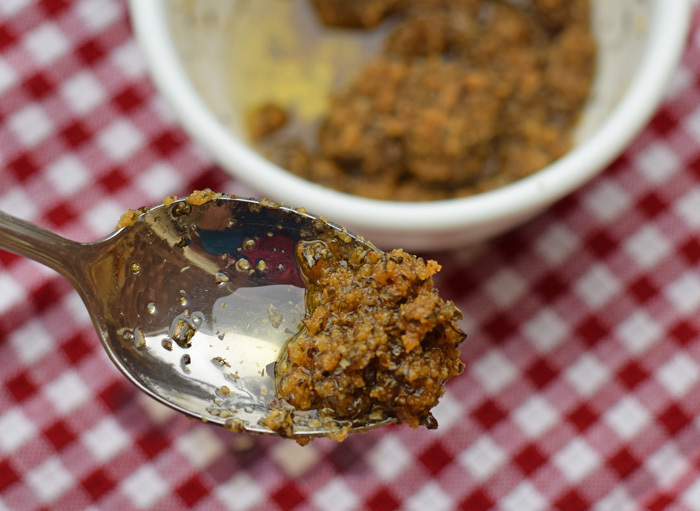 While the Cooked Perfect Meatballs are heating, make the garlic butter rub. In a small bowl, melt the unsalted butter in a microwaveable bowl. Stir in the garlic powder and Italian seasoning. The mixture will be thick. Cut each roll in half, separating the top from the bottom. 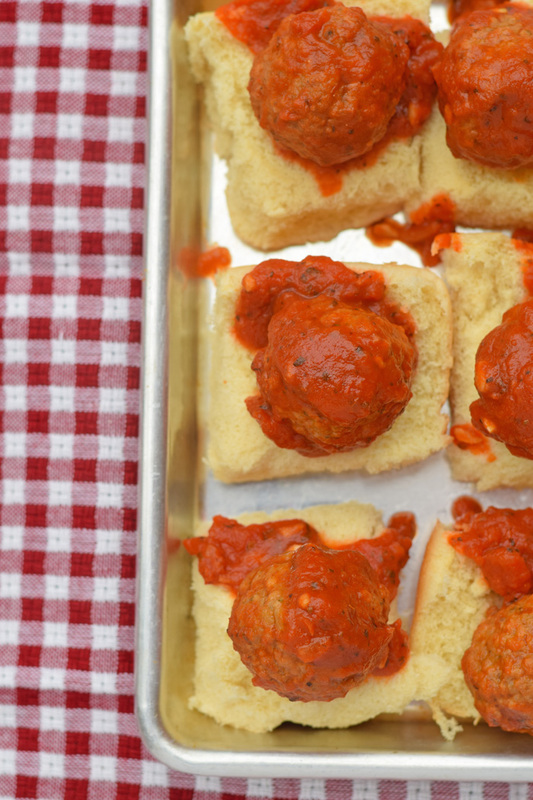 Once the Cooked Perfect Meatballs and marinara are heated through, place the roll bottoms on a baking sheet. Place on Cooked Perfect Meatball on each roll bottom. 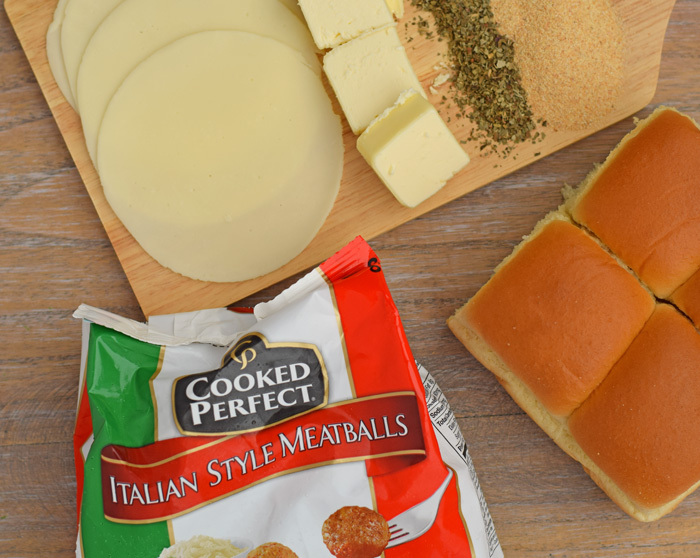 Top each Cooked Perfect Meatball with a piece of provolone cheese. Place the top of the roll on each slider. Using a silicone brush or the back of a spoon, rub the garlic butter mixture onto the top of each roll. 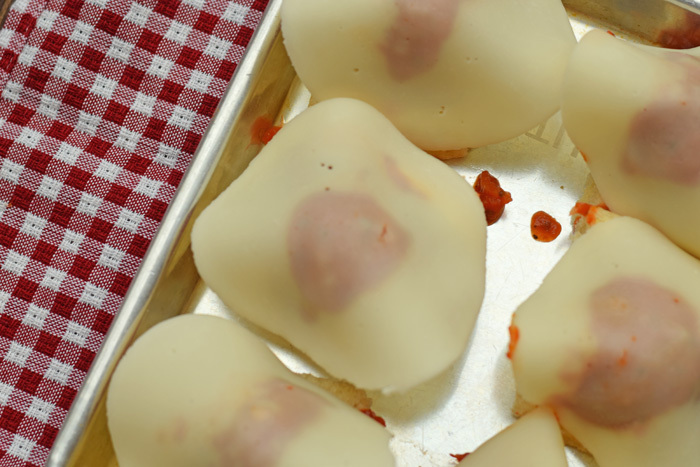 Heat the sliders in the preheated oven for 10 minutes or until the cheese has melted. 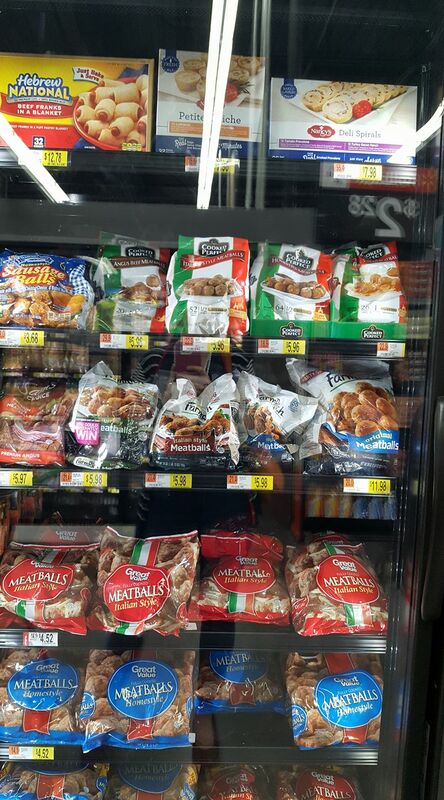 Locate Cooked Perfect Meatballs in the freezer aisle at your local grocer. I grabbed mine on a recent Walmart trip. What will you be making for National Meatball Day? Meatball Sliders are always a big hit at my house. I love the way you melted the cheese and the garlic butter mixture sounds amazing. I can’t wait to try Meatball Sliders your way. Looks delish! Even though I just finished breakfast these make my mouth water! Meatballs are so versatile and Cooked Perfect is a good brand. We have Meatball Sliders on our menu plan coming up soon, can’t wait! Oh my I want these right now. I know my hubby would love these for sure!! Pinning for later. 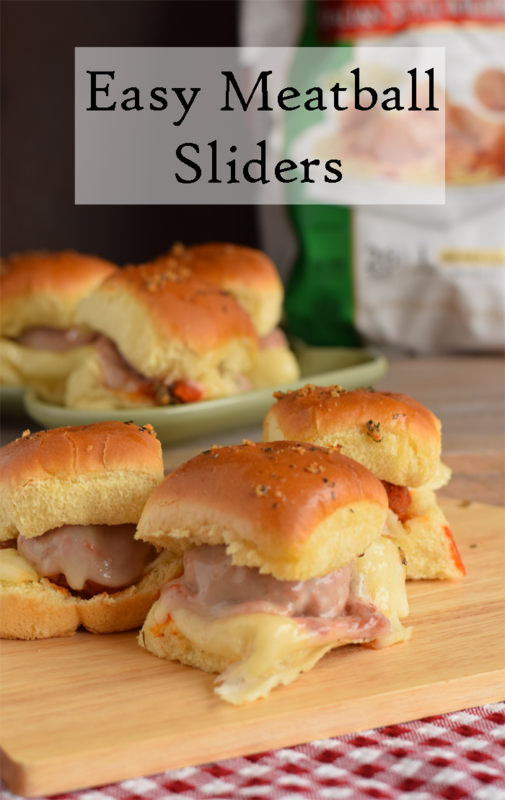 My boys absolutely LOVE meatballs, so these sliders would be absolutely perfect for them. 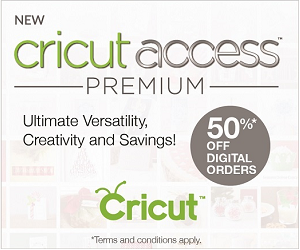 I can whip some up for March Madness…so excited that it starts soon! 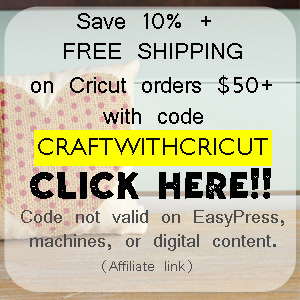 You definitely weren’t lying when you said easy! Those looks so yummy! My hubby and kids would love those! Great recipe! Those look fantastic! We just bought a bag of meatballs, so will definitely have to try this out! Yum, these meatball sliders look great. Perfect as an appetizer or a fun change from or usual dinner menu. Yum! what a great, easy appetizer. These would be really simple for guests to snack on during a get-together. 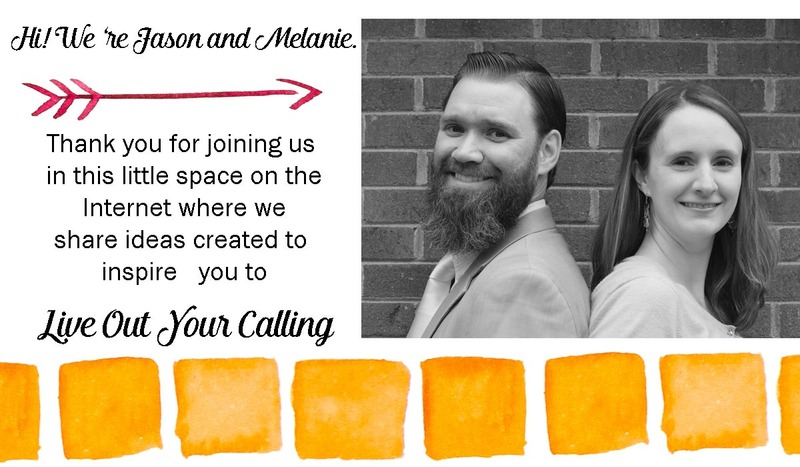 We’re big meatball fans. I usually make them from scratch but do like to keep some frozen on hand. I wish I could find their gluten-free variety in the stores, it’s almost impossible to find. Umm, these look so good! I need to make these this weekend for dinner. My family would love them. This is a perfect snack! 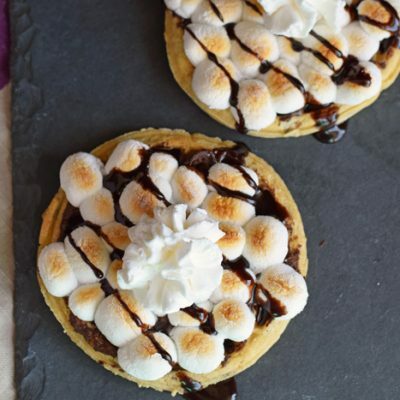 Easy to make and looks really delicious, the kids will love it! I love meatball sliders. These look so delicious! I would love to try this recipe this weekend. I will be looking for these meatballs at the store. These look so good! I use frozen meatballs often and pinned this recipe to try later! Oh Yum! 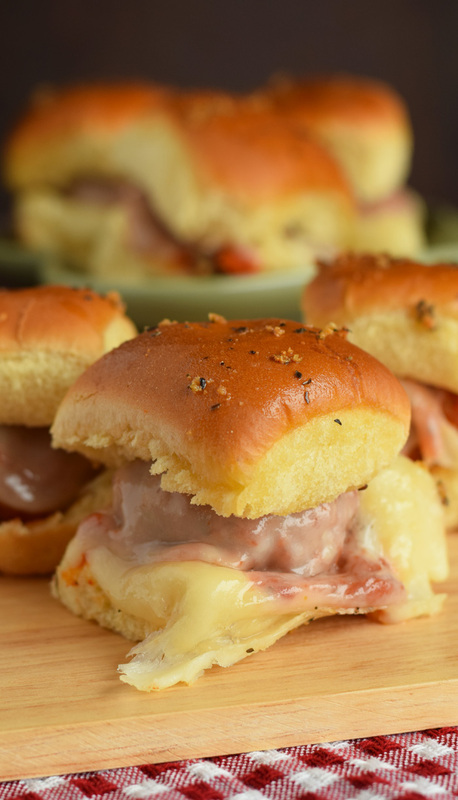 We love meatball grinders so these sliders would be right up our alley! I’m so making these..thanks Melanie..
You’re welcome! They are delicious. These look delicious, i love anything bitesize and so does my daughter. 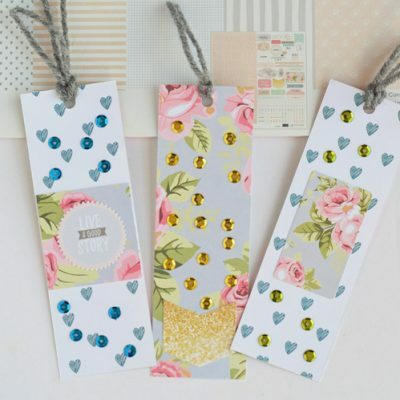 I will so be making these, thankyou for sharing.